The official Notification regarding TNCWWB Recruitment 2018 for DEO & Jr Asst Posts is out. Interested candidates can go through the details mentioned in the Tamil Nadu Construction Workers Welfare Board Recruitment 2018 Notification Pdf. Know the TNCWWB DEO Junior Assistant Vacancy 2018 details. Eligible candidates can apply for TN Labour Department Data entry Operator Vacancy 2018 by submitting the offline application form to the given postal address. This is a excellent news for those candidates who are looking for TN Govt Jobs. Recently, Tamilnadu Construction Workers Welfare Board has issued TNCWWB Recruitment 2018 Notification to recruit the skilled & talented aspirants for 177 Data Entry Operator (DEO), Junior Assistant Posts. The officials have invited the TN Labour Department Recruitment 2018 Application Forms through offline mode only. As per Tamil Nadu Construction Workers Welfare Board Recruitment 2018, candidates must have completed 10th class from any reputed board and must have attained the prescribed age as mentioned. So, willing candidates can fill & submit the TNCWWB DEO Recruitment 2018 Application form to the given address on or before the deadline. 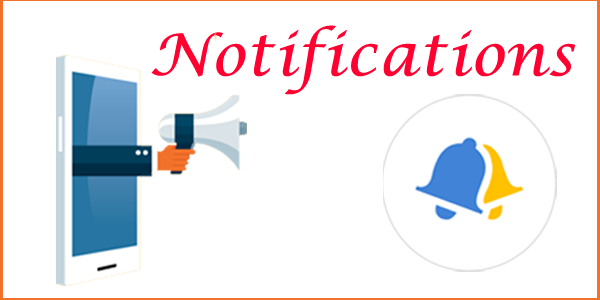 Other details about TNCWWB Notification 2018 like Number of Vacancies, Age Limit, Educational Qualification, Selection Process, Salary Offered, etc. Candidates who wish to apply for TNCWWB DEO, Junior Assistant Jobs 2018 have to ensure the following eligibility conditions like Age Limit, Educational Qualification, etc. SCs, SC(A)s, STs: 18 Years-35 Years. MBCs/DCs, BCs and BCMs and DWs of all Castes: 18 Years-32 Years. For All other Candidates: 18 Years-30 Years. Candidates who have completed 10th Class from a recognized university are eligible to apply for TNCWWB DEO Jobs 2018. For Junior Asst Posts: 10th Pass. In addition to the eligibility criteria, get further details of TNCWWB Junior Assistant Notification 2018 like Application Fee, Selection Process, Salary Offered, How to Apply, etc. The fee payment is done through DD from any Nationalized Bank Drawn in favor of “The Secretary, TNCWWB” DD Payable at ‘Chennai’. The TN Labour Department Recruitment 2018 Application Process is completely offline. So, willing candidates who have met the eligibility criteria can fill & submit the TNCWWB Recruitment 2018 Application form on or before the due date i.e, 2nd Nov 2018. Find the relevant tab “Tamil Nadu Labour Department Recruitment 2018 for DEO & Jr Asst Posts” on the homescreen. Read the full details provided in the official TNCWWB DEO Recruitment 2018 Notification Pdf. Ensure the eligibility criteria & then download TNCWWB DEO Jr Asst Application Form 2018. Enter all the required & mandatory details in the TNCWWB Junior Assistant Recruitment 2018 Application Form. Verify all the details once before submitting the TNCWWB DEO JA Application form 2018. Finally, send the hard copy of the TNCWWB Application Form 2018 to the given address on or before the due date. வள்ளுவர் கோட்டம் நெடுஞ்சாலை, நுங்கம்பாக்கம், சென்னை- 600 034. Our team has gathered here the full details of TNCWWB Recruitment 2018 Notification for the convenience purpose only. In case, f you have any queries, refer the official TN Labour Department Recruitment 2018 Notification through the direct link provided below. Stay in touch with our page Naukri Samachar for more job opportunities. Sir candidates all r write a written exam ? I think this is good opportunity for who eligible don’t get a job and also who trying government jobs through tnpsc exam preparing students…bez I am also preparing….